Advertise on Classic Movie Hub! 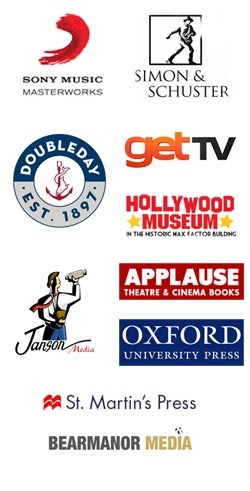 Classic Movie Hub is the Classic Movie Cheerleader, recognized as a Top Influencer in the Classic Movie Community by Industry Leaders and Fans alike! With over 30,000 hits a month on our website, and over 200,000 social media fans, CMH has a die-hard passionate fan base who know and LOVE classic movies, classic TV, classic cartoons, classic music and classic Broadway. We are fully engaged with our social fans every day, and run integrated contest promotions every month across our site, blog and social platforms. CMH offers a variety of advertising placements and contest promotion packages to help you reach the right fans for your products and offerings. For advertising inquiries, please contact us at classicmoviehub@gmail.com and we'd be glad to help you put together a plan!